“We know that taste can be misleading, at least when it comes to what’s best for us,” she says. “People love donuts, but they don’t make a nutritious breakfast. Spinach isn’t popular with many people— especially children—but it’s beneficial to our health in many ways.” But for Bernard, a great meal is less about what you eat than how you eat it. She advocates something she calls “intuitive eating” that’s aimed at improving every dining experience and perhaps making for a healthier diet along the way. 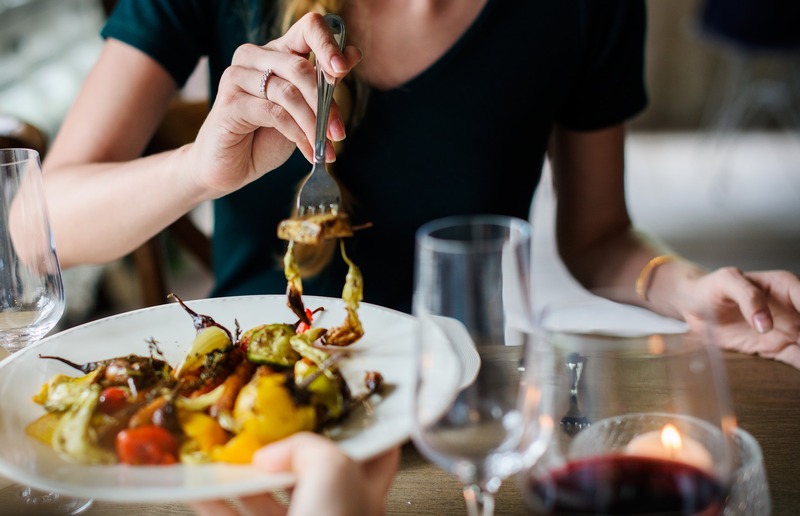 Although you might find yourself shedding a few pounds, intuitive eating isn’t necessarily about losing weight, she says. It’s about getting more pleasure out of your meals and getting more pleasure from the people you have meals with. You may think you already do this, but too often people don’t really take time to enjoy the taste. They wolf down their food so they can move on to whatever is next on their agenda. Tasting food helps your body relax and digest more efficiently, she says. Tasting and savouring what you eat also is good for overall health. It takes 15 minutes before your brain gets the message from your stomach that you’ve eaten. That’s no doubt one reason people over eat. They don’t give their body time to get the message that they are getting full before gulping down even more food. “Take time to have conversations when you eat and you will eat less—and enjoy the meal more,” says Bernard.